Today's card is a simple shaker. I used my Silhouette Cameo to cut out my reindeer. 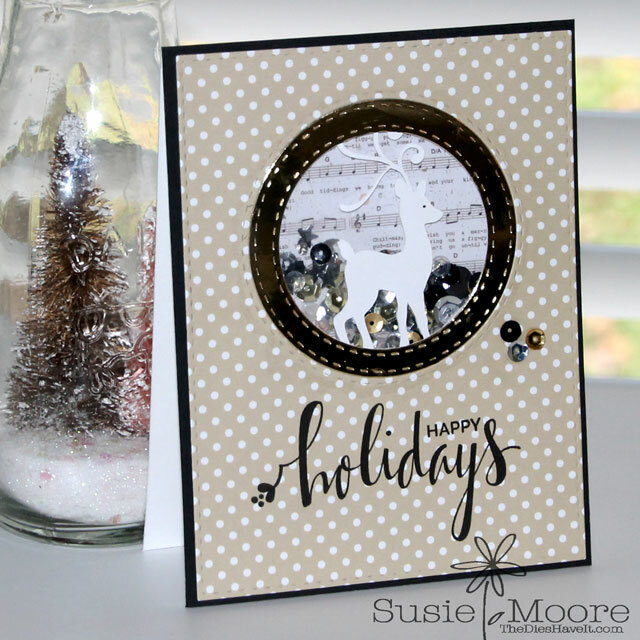 At first I cut this little guy out of gold metallic card stock....but for some reason he looked better as a white reindeer.. He is on the outside of the shaker, adhered to the acetate. I die cut my gold metallic frame and then filled my shaker with lots of beautiful sequins from Pretty Pink Posh. The sentiment is from MFT Stamps. And I am calling this one done.